John Waters, whose newest book is Make Trouble, is in town this weekend for a public conversation. JOHN WATERS, Saturday, June 2, at 8 pm. LUCKMAN FINE ARTS COMPLEX, Cal State L.A., 5151 State University Drive, Los Angeles. Above: Terry Richardson, John Waters and Johnny Knoxville. 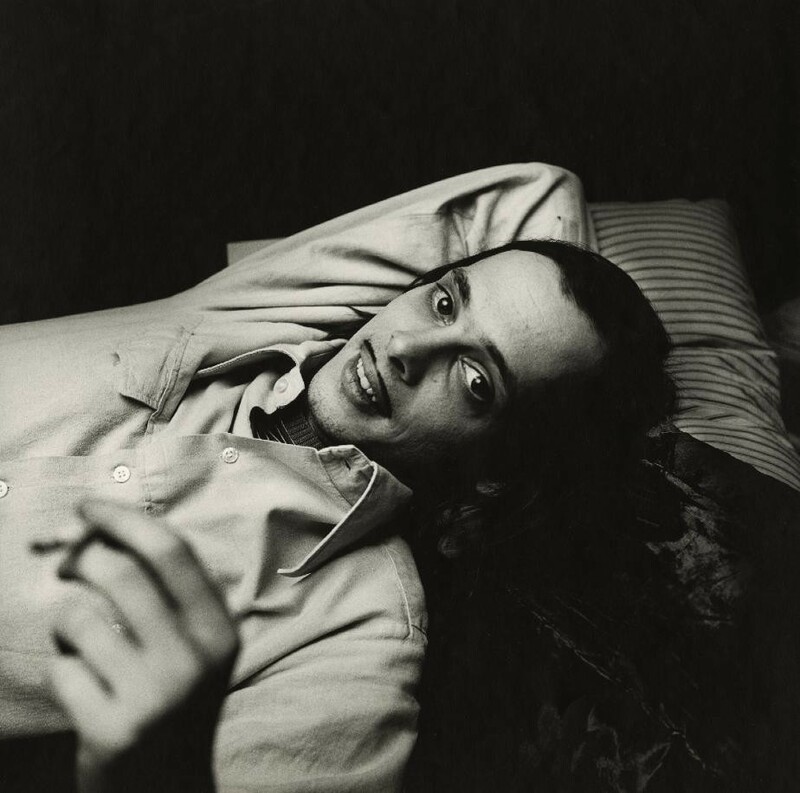 Below: Peter Hujar, John Waters (I), 1975. © Peter Hujar Archive, courtesy Pace/MacGill Gallery, New York, and Fraenkel Gallery, San Francisco. This entry was posted in BOOKS/PERIODICALS, CONVERSATION, EDUCATION/ACTIVISM, FILM and tagged John Waters, Johnny Knoxville, Luckman Fine Arts Complex, Make Trouble (Waters), peter hujar on May 31st, 2018 by Barlo Perry. The Morgan Library and Museum presents a new exhibition of 140 works by Peter Hujar, the great photographer of Lower Manhattan. The PETER HUJAR—SPEED OF LIFE catalogue includes the first fully researched chronology, exhibition history, and bibliography to be published on Hujar. Above: Self-Potrait Jumping (1), 1974. Both images: © Peter Hujar Archive, courtesy Pace/MacGill Gallery, New York, and Fraenkel Gallery, San Francisco. This entry was posted in BOOKS/PERIODICALS, PHOTOGRAPHY and tagged Dev Hynes, Holland Cotter, Nan Goldin, peter hujar, Peter Hujar - Speed of Life, Peter Hujar Archive, Sarah Nicole Prickett, The Morgan Library and Museum, Vince Aletti on March 13th, 2018 by Barlo Perry.